Mikko-Ville Laitinen received an M.Sc. (Tech.) degree, from the Helsinki University of Technology, Finland, in 2008, and a D.Sc. (Tech.) degree, from the Aalto University, Finland, in 2014. In 2006, he was working for the loudspeaker company Genelec, Finland. 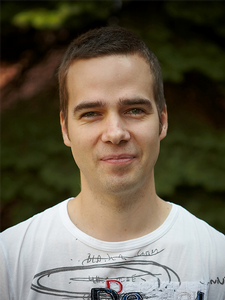 Since 2007 he has been working as a researcher at the Aalto University, where his research topics include spatial audio, multichannel reproduction, psychoacoustics, and audio codecs. Furthermore, he was a visiting researcher at Fraunhofer IIS, Germany, in 2012.